Magical Iceland – And why everyone should go there! – Where's Clair? 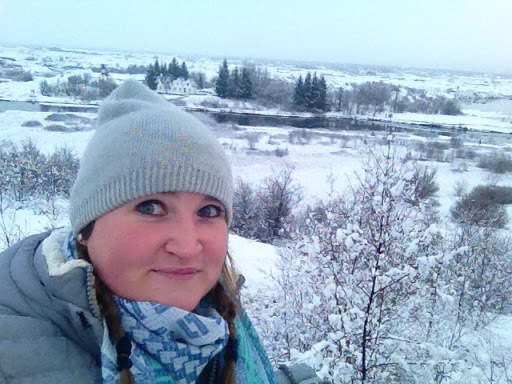 Magical Iceland – And why everyone should go there! For as long as I can remember, my Mother has wanted to visit Iceland. We would joke that we’d take her on the number 76 bus to Ballyfermot and she could buy all the frozen food she wanted! But this year, for the first time in my working life, I was in a position to actually take her there for real! I wrote her a very cryptic clue in a Mother’s Day card and when she finally figured it out, her face was like what I imagine mine was like as a child receiving presents on Christmas morning! She told me that she had wanted to go since was 14! It was privilege to able to do take her with me. So, here’s how we got on!!! Thankfully, WOW Air have recently started flying direct from Dublin. This makes getting to Iceland both quick and affordable! It only takes 2 hrs and 25 minutes which makes it actually closer than Spain. Who knew?! One thing though, be careful with the carry on allowance, it’s only 5kg!! I’m good at packing, but not THAT good! When you arrive in Iceland for the first time, try to nab a window seat if you can, because the views are incredible! It’s literally like landing on another planet. You can see the dark, rocky landscape with steam rising from the ground from the geothermal activity which was completely new to me. We shuffled off the bus and there they were, as if from nowhere, two green lines in the sky. They weren’t as bright as I was expecting, but I was happy that we had seen them after travelling all the way. The next thing again as if from nowhere, the two lines joined up and began swirling and dancing across the sky. It was basically the first thing in my adult life that I would describe as “magical”. The best part of the whole experience though, was the look on my Mother’s face. Absolutely Priceless. 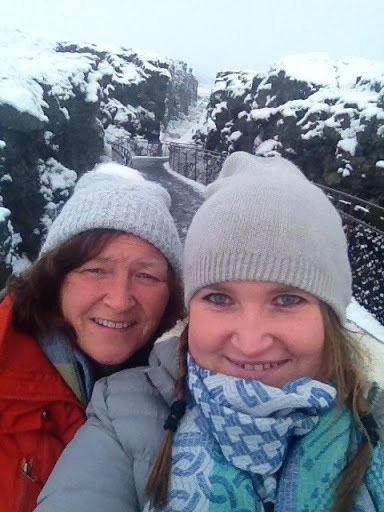 Our next trip was to Þingvellir National Park. A UNESCO world Heritage site, it lies on a rift valley and is the Historical site of the founding of the Icelandic Parliament and the founding of the nation of Iceland. As well as being historically important, it also has amazing views and was particularly memorable, because while we were there it first began to snow! Another reason to visit Iceland is that it is said to have over 1000 waterfalls! Anyone who knows me will know that I love a good waterfall and as you read through my blog. You will probably notice that I visit a lot of them! 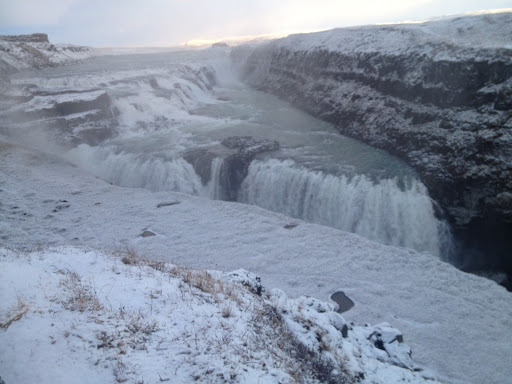 We visited Iceland’s most famous waterfall Gullfoss, which translates as “Golden Falls” and learnt the story of Sigríður Tómasdottir whose father owned the waterfall, but had to sell it in tough times. Sigríður threatened to throw herself into the water if it was sold and so her father pulled out of the deal. Another item on my mother’s bucket list was to see the great Geysir. Unfortunately, he is now extinct, but a new younger geyser is currently erupting, called Strokkur. For those who don’t know, a geyser is a gushing spring of water that erupts from underground as a result of geothermal energy. It is very hard to explain the experience of seeing a geyser erupt first hand. In about 45 minutes we saw Strokkur erupt about 5 times, each time as exciting as the last. You can see the water bubbling away and suddenly with no notice at all, a massive gush of water if you stand close enough you can feel the warm water on your face as it falls. The landscape in the Geyser area was like something you might see in a fantasy film, with steam rising from the ground and small bubbling crevices, threatening to boil over. By the last day of our trip we were ready to relax, and what better way to do it than in the luxury of a geothermal bath? The blue lagoon is a mystical spa, featuring geothermal sulphur baths. This felt quite bizarre at first, because you are in a swimsuit in the freezing cold, then step into a beautifully warm pool! I described the blue lagoon as mystical, because it is a beautiful shade of turquoise blue, with steam rising like smoke around you. This whole place felt so luxurious and indulgent, which is far from the way I generally travel! With people having massages on one side and a bar serving signature cocktails, smoothies, beer and prosecco to the other. 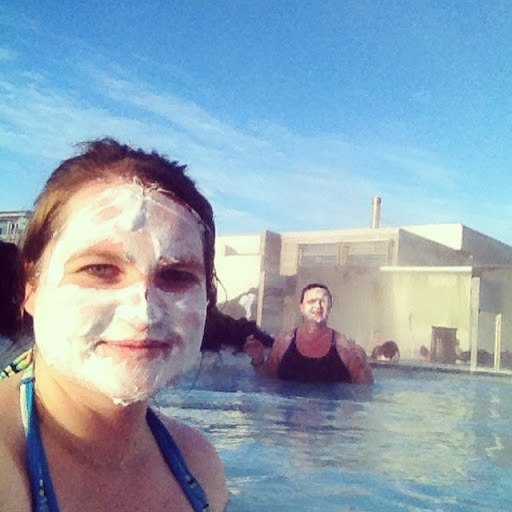 Throughout the lagoon there were buckets on free face masks which made everyone look a little scary, but added to the luxury of the experience. Having taken full advantage of the facemask, sauna and steam room, myself and my Mam treated ourselves to a glass of prosecco and had one of those “This is the life” moments. Iceland is ridiculously cool. It is so cool it doesn’t even have to try. Strolling around Reykjavik there are so many great restaurants and bars and we were pleasantly surprised that it wasn’t as expensive as everyone had warned us. There are bars full of big brawny bikers and cool clubs full of hipsters. We fell in love with the local beer Viking and had a particularly good and reasonable meal in a diner modelling on the Big Lebowski. Another reason you should go to Iceland is the amazing Icelandic people. Everyone we met was so friendly with a great sense of humour. Apparently when the island was settled Scandinavian Vikings kidnapped Irish women and brought them over. We were told that this is where Icelanders get their love of storytelling. Icelanders also love to write and I was advised to purchase “Salka Valka” by Halldor Laxness, Iceland’s only Nobel Laureate. I loved hearing all of the witty tales about Icelandic history and it strangely reminded me of home. The bottom line on Iceland is that in my opinion everyone should go there. In general, I tend not to return to a place once I’ve been, but I can tell you with certainty that I will be back! Next A curious case of an unlikely love in an unlikely place…..
Would surely add this place to my bucket list! I hope one day i would be able to witness the northern lights! 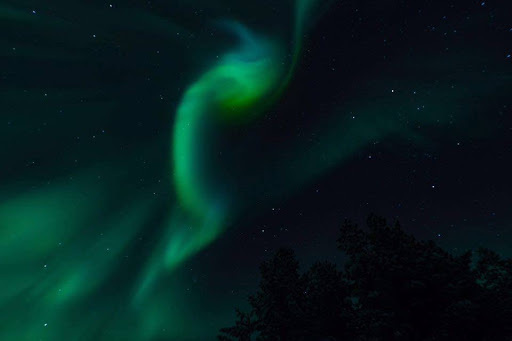 Definitely wish to visit here and enjoy the Northern lights!! Dear Clair, Nature is a mystery in itself and has ways to show that to us. Best thing is we enjoy as spectators. Aurora Borealis is one phenomenon i would love to watch once in my life. But i stay too far. But one day, i can make it.. I really want to see the Aurora Borealis. It's very expensive to travel to Iceland from Asia but I believe I'll be able to travel far soon. I heard Iceland is one of the safest places for female backpackers. I sure hope I get there! Clair I was almost on that trip with you when reading this post. It was wonderful. And I am so glad that u could take out time and take your mother on this lifetime trip. For Iceland I am making an exemption on avoiding going to places where it is very cold. Ever since I was a kid, I had always been fascinated with Iceland. It started with the name itself, and then later, the ice and snow since that was something I do not see in a tropical country where I am. Ever since I was a kid, I'd always wanted to see the Aurora Borealis. You're so lucky to have seen this magic in the sky! Blue Lagoon is very picturesque, and every time I see it I can just imagine the warmth of the pool. This made me more eager to visit Iceland in the future. I also want to travel to Iceland to see the 'lights'. Now I am more determined to get there!! ❤ they are sooooo beautiful and fascinating.